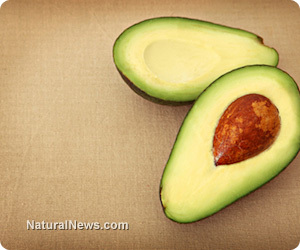 (NaturalNews) The avocado is a familiar fruit to most of us these days and is commonly consumed by people in many countries, but because of that familiarity it is easy to overlook the fact that this humble fruit is a truly amazing, super versatile and super healthy superfood. Although the avocado has been consumed without ill effect by humans since the beginning of time, the "low fat" craze that swept Western nations over recent decades saw the humble avocado receive some bad press due to its high fat content and a reputation among the misinformed portraying it as a "less than perfect" food choice. Avocado is high in many health-giving nutrients such as vitamins C, E and K, potassium and folate. These nutrients are vital for a healthy body and the high folate content in particular makes the avocado an extremely valuable food choice for pregnant women or for those trying to conceive due to the extra folate requirements of the developing fetus. * Italian inspired toast: Rub toast with fresh garlic clove, then spread with avocado and add salt and pepper. It's delicious!